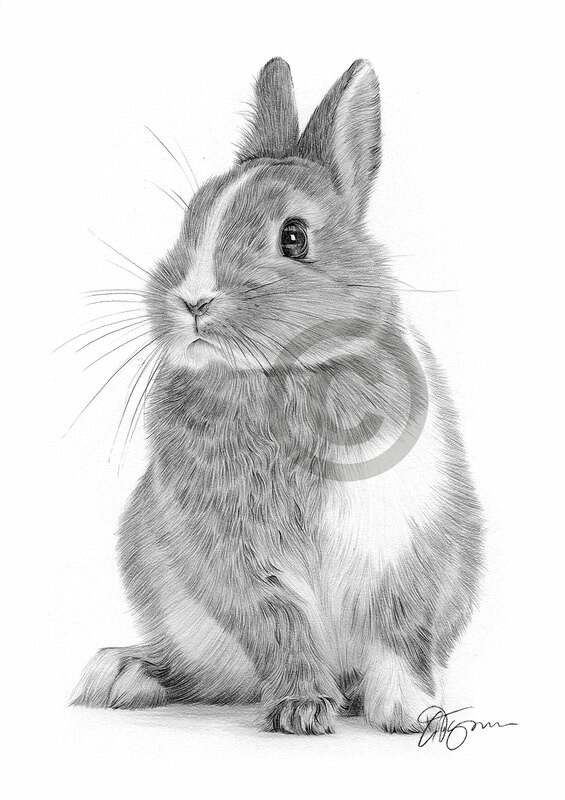 Pencil drawing of a white and brown Rabbit by artist Gary Tymon, completed with black watercolour pencil on watercolour paper. Most prints are available in both A3 and A4 sizes (unless otherwise stated), and is individually signed by myself in the bottom right-hand corner along with the print number. If you want to purchase a print, return to the gallery page to select the size and add to your cart. This is the official artwork website of Gary Tymon © copyright 2019. All rights reserved.